So what did Kath suggest? 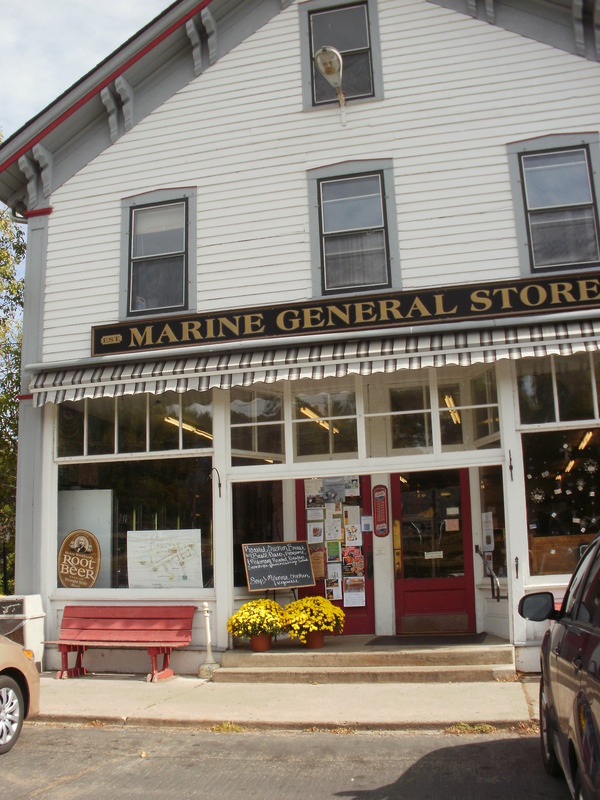 That we go to Wisconsin (for some sophistication) Jim said… So how could he tease me so when after having refused the delights of The Mall of America, I embraced those of the Marine General Store near La Croix? More my size – more my style, more human scale, MORE altogther because it’s LESS like Poetry and Flash Fiction and all GOOD THINGS. This store does what what small does BIG! and the people are friendly as are the Library people just down the street where we all went to use the — rest rooms! MIGHTY FRIENDLY FOLKS!